Preya Shah from Rochester Hills shows us her white morels. Phil Tedeschi, vice president of the Michigan Mushroom Hunters Club carries a fishing creel to store any found mushrooms and other tools like a knife, a compass, a magnifying glass, a whistle, a water bottle and a walking stick. White morels found at a nature area in Ann Arbor near the Huron River. Tedeschi, a retired computer programmer from the University of Michigan, is an amateur mycologist, a hobby he's had for 47 years. "I love hunting mushrooms, love eating and cooking with mushrooms," he said. “Gonna be looking for cherry trees and for tulip trees also called tulip poplars," Tedeschi says. "Those are good habitats for white morel. 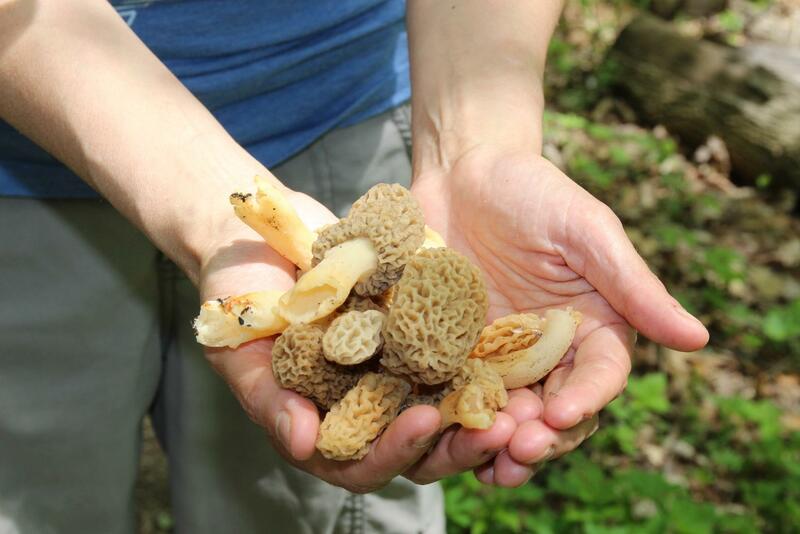 The black morels grow in different habitats, they’re mostly in white pines and poplar trees. This time of year it’s going to be the whites that are out." "They’re in a symbiotic relationship with the tree. The tree provides carbohydrates and sugars. The mushrooms provide nutrients and water and protection from diseases for the trees." 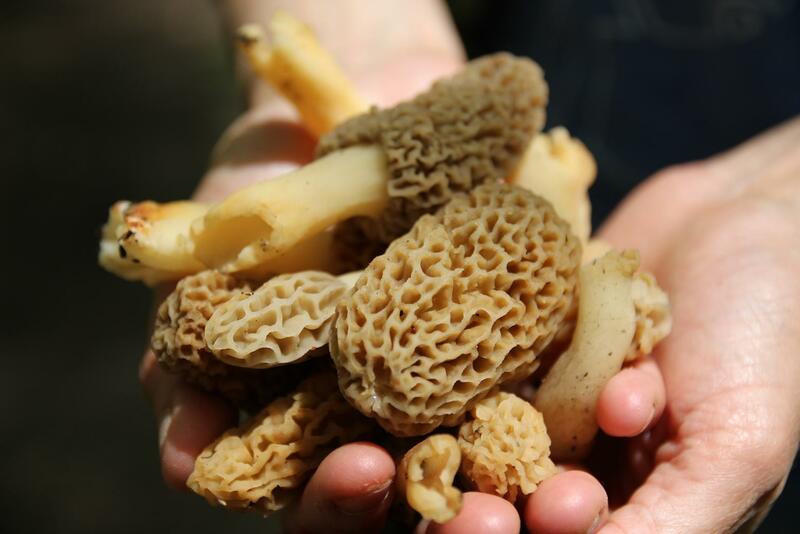 There are three species of morels: whites, blacks and half-frees, Tedeschi says. "The blacks come first in the spring, then the half-frees, and then the whites. They did a major ecological burn here so they’ll be popping out very easy to see," he said. "I’m looking for white to yellow color mushroom. Sometimes gray. It will stand out from the forest pretty well now." "Finding morels is very weather-dependent, and we’ve had a lot of rain this spring so there should be some out here," Tedeschi advises. Early spring is when the morels start to pop. Once it gets into the upper 70s and 80s, Tedeschi says the season is over. "A mycologist in our club named Ed Grand started hunting here," Tedeschi says. "He brought me here for my first morel hunt, and I found 100. He found 150 that night after work. "He came here with his parents and hunted here and a couple of other spots along Huron River Drive. They found 2,400. Now there’s are more people in these woods than there used to be, so probably won’t repeat that, ever." It's important to know what you're looking for. For that reason, Tedeschi suggests connecting with an experienced hunter who can identify the mushrooms. The Michigan Mushroom Hunters Club offers public hunts and member-only hunts year round and across the state. 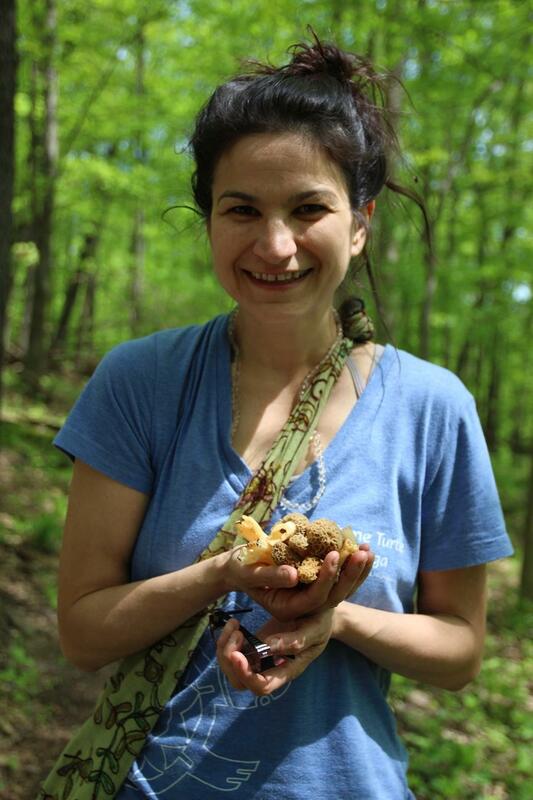 Preya Shah, from Rochester Hills with her white morels. Although we struck out on finding white morels, by chance we ran into someone who did find a few. Preya Shah, a mushroom hunter from Rochester Hills, showed us her find. Ironically, she learned how to hunt with Tedeschi years ago. "One of the mushroom hunts on the weekend, we had thirty people in the woods, most of us found one or two," Tedeschi remembers. "One woman came in with twenty nice ones, just happened to be at the right place. Rest of us didn’t find that spot. It’s called mushroom hunting, not mushroom finding." Want to find out where to hunt? The Michigan DNR's mushroom tracker website is a good place to start. Large burn sites in forested areas are ideal for morel mushroom hunting, especially in burned areas where jack, white or red pine once grew. 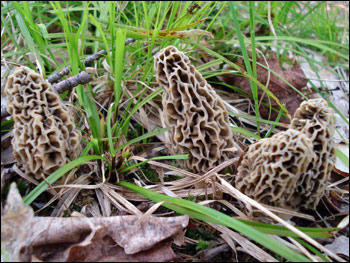 Grassy and other non-forest areas are not as likely to produce morels. This map shows large prescribed burns (10+ acres) or wildfires that occurred last year. Warm weather is here across Michigan, and with it brings fresh food out of our gardens. One of those delicious, fresh dishes you can make is morel mushroom conserva. The Stateside Test Kitchen was lucky enough to have Chef James Rigato come into the studio to share his recipe. 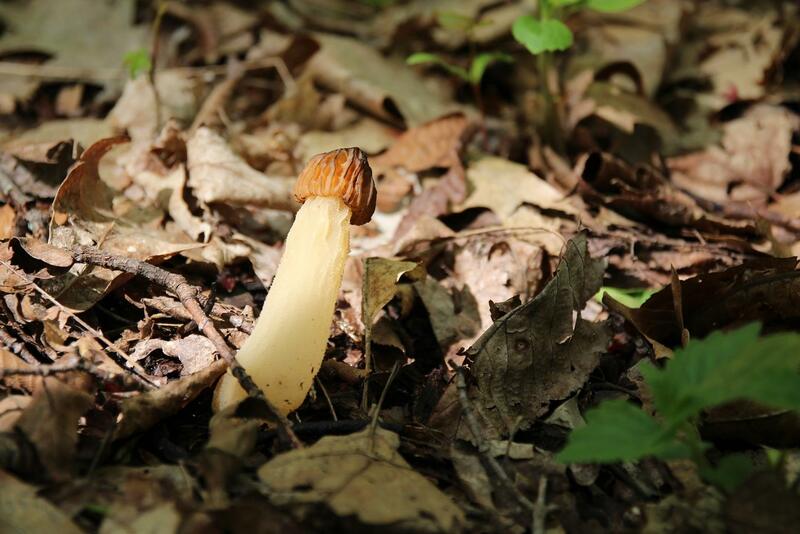 Want to become a certified wild mushroom identification expert? If you want to find wild mushrooms and eat them yourself, fine. But if you want to sell them, state and federal law requires a certification. But until now, Michigan didn’t offer a way to become certified. “If you talk to the folks up north, they never had a problem, nobody really bothered with it until a couple of years ago,” said Chris Wright. He helped design the curriculum and the new state test to get that mushroom expert designation.